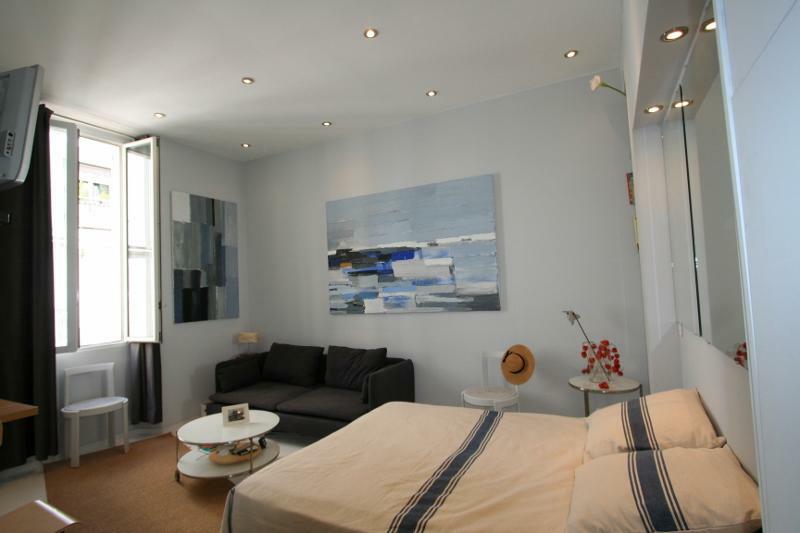 This beautifully renovated studio less than 5 minutes from the Palais. 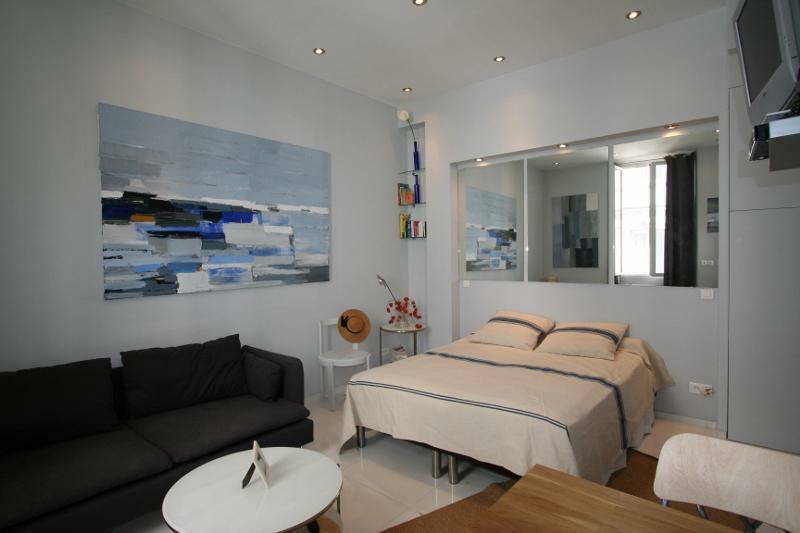 Clean, comfortable, modern, well equipped, this studio is ideal for your Cannes business trip. Apartment is on the first floor without an elevator. 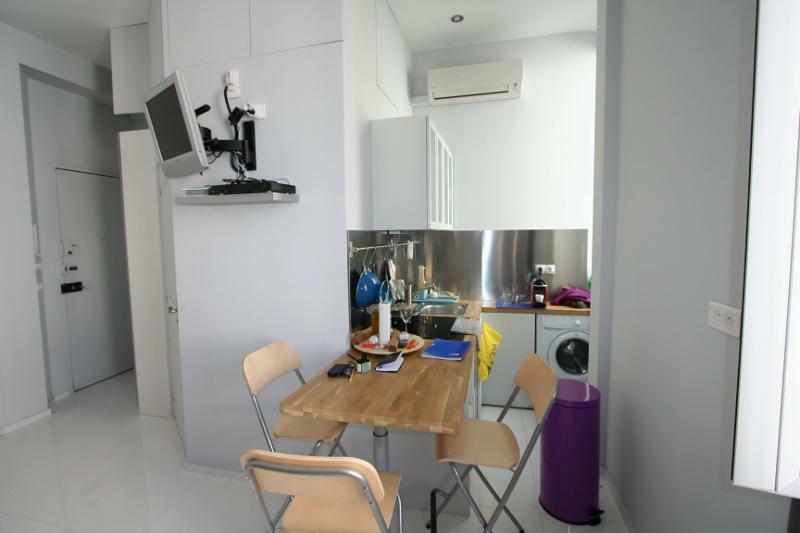 The apartment has air conditioning and Wi-Fi. 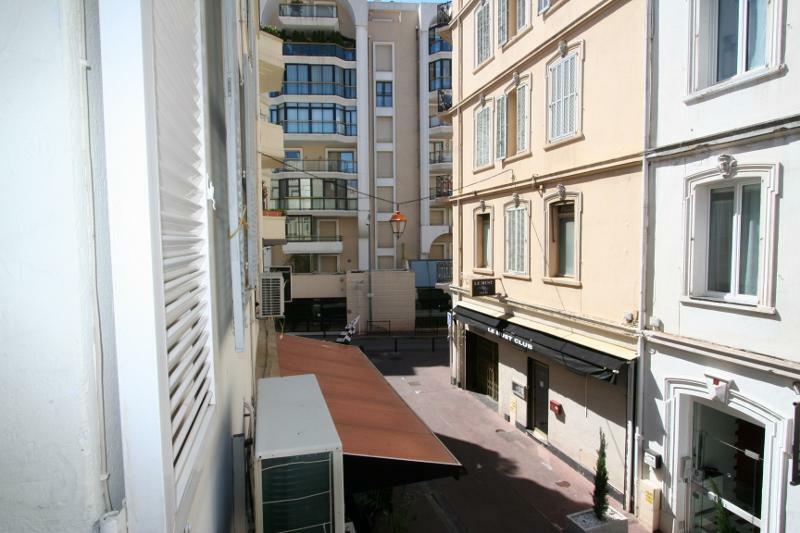 The apartment is located in Cannes lively Carre d'Or neighborhood. 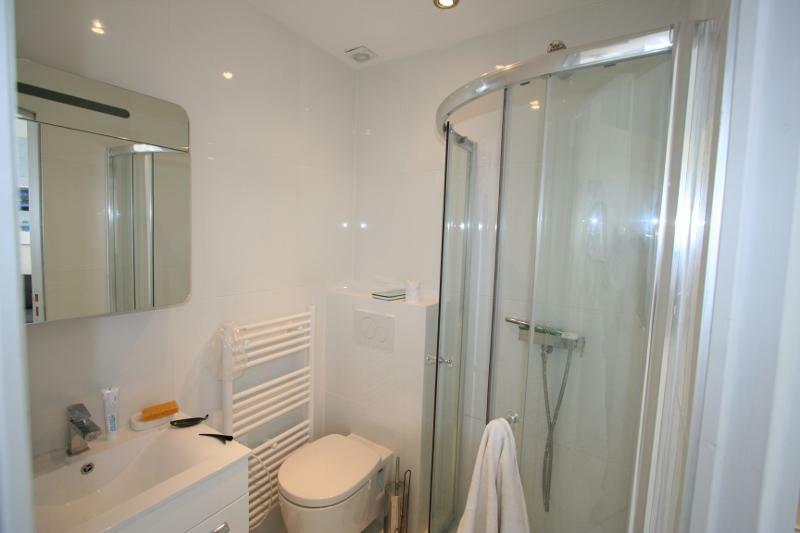 This convenient location also has a drawback that it can be noisy at night.